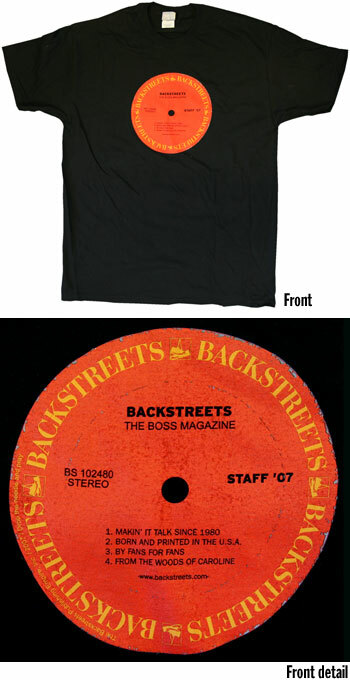 This limited-edition T-shirt has a familiar-looking image on the frontÉ a closer look and you'll find Backstreets: The Boss Magazine as the artist and title. "Backstreets" and our sneakers logo are printed in gold around the red label, slightly distressed for that "well-played" look. Front design only, on a high-quality black Hanes Beefy T, 100% pre-shrunk cotton.